Public transport, it’s for the people, the clue’s right there in the first word, and yet there seems to be a few people who forget this (I’m pointing a large finger at TFL, whose aim appears to be to hold the people of London to ransom). Out here in Russia, things are a little different. 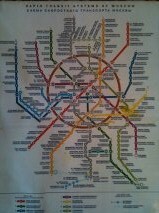 The Metro system in Moscow was installed during an era when everything was for the people and the people were for the people. Communism may have long since fallen, but this is a beast that is still for the public at large. There are 186 stations, which makes the map look something akin to an octopus robot that’s been cross bred with the Hydra, but there aren’t any zones. There’s one flat rate for a single fare of 28 Rubles (that’s 56p) and you can get a discount if you load up in bigger numbers. It might not be as clean and slick as its counterpart in say Beijing, but while the Chinese concentrate on keeping everything plain and bland, it feels like The Soviets were attempting to copy the BBC’s mission statement of; educate, entertain and inform. This isn’t simply a system to send you from A to B, the grandeur and propaganda is there for all to marvel as they pass through the gargantuan halls. 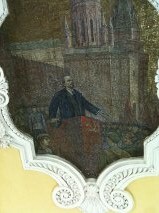 There’s mosaics and statues at every corner, chandeliers hanging from the church high ceilings and at the stop Dostoyevskaya, there are even scenes depicted from his novels in monochrome for you to admire. The lines don’t seem to close either. I haven’t found myself on a weekend having to re-plan my route twelve times because there’s maintenance going on, that’s all done in the brief four hours it’s shut for during the night. This really is public transport as it should be; cheap, efficient and entertaining, with added wifi if you’re journeying round the circle line. 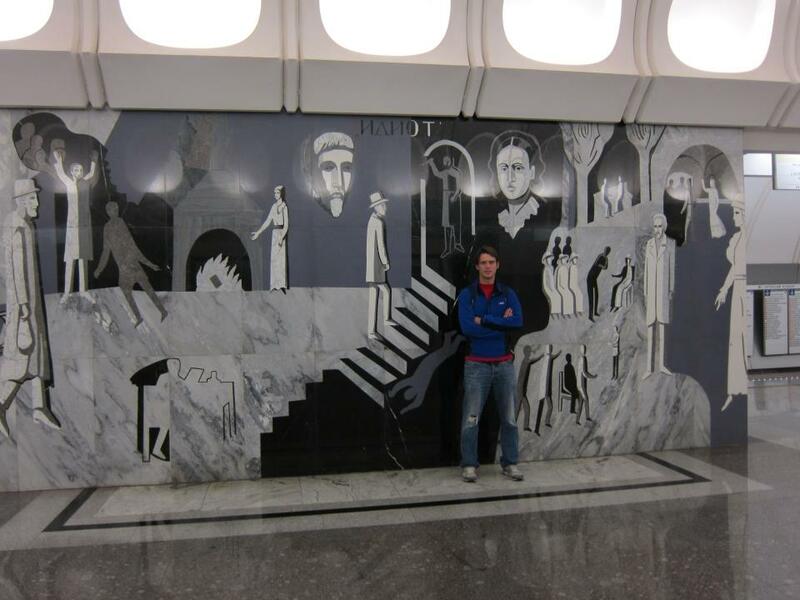 Another great blog, I’m really enjoying the slices of Moscow life that you are sharing with us. 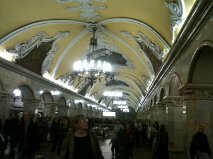 Hope you are settling in ok. As you say this is exactly how a public transport system should be done and love Dostoyevskaya station !